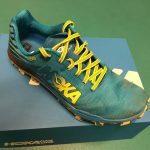 As I pulled the Hoka One One Jawz shoe from the box I was immediately attracted to the lightness and the bright colour of the ripstop material which felt tough as well as being light. 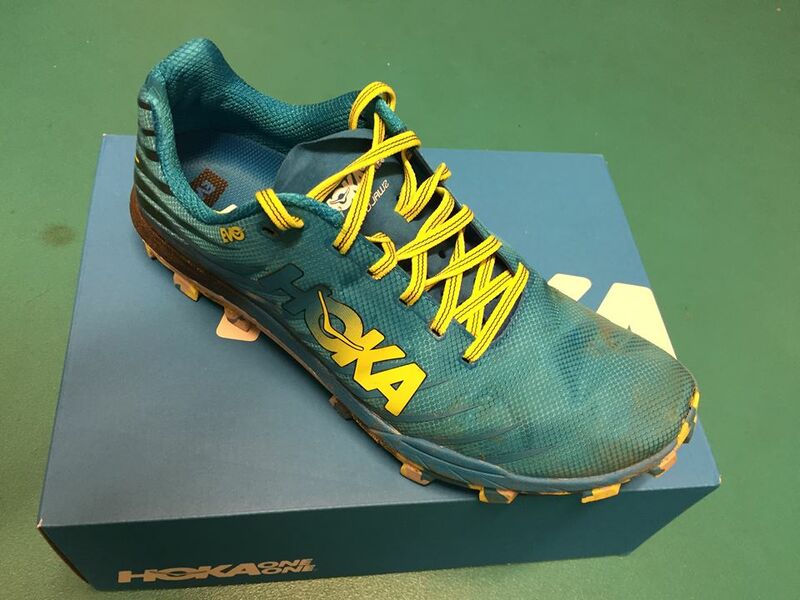 The low profile was very different to my previous experience of the Hoka trademark. I was really excited at the prospect of taking a Hoka One One Jawz review. 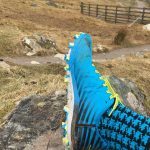 Looking at the sticky Vibram sole of the Jawz the well-spaced 6mm lugs looked and felt good but there’s nothing quite like taking a shoe to the hill and rock to test it for real. I chose to try them with some new merino wool socks. These socks are pretty thick and I did need an extra half size taking a UK 9 as opposed to my usual UK 8 ½. 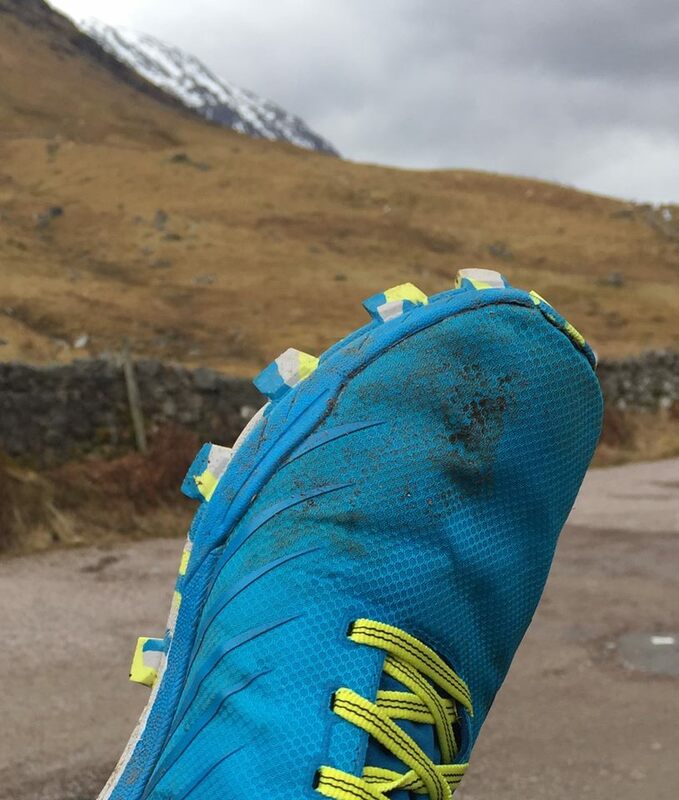 Setting out from Claggan Park, Fort William for a Half Ben Nevis meant a good test of every technical type of terrain. Climbing the path from The Ben Nevis Inn at Achintee there was a mixture of sand, soil and rock. I was pleasantly surprised by the comfy fit and the grip on both surfaces. Taking the first short cut I was into the mud and the deep lugs worked well here. With no grumbles yet I was keen to get above the pile of stones at around 550 metres (The White Sign) to try the shoes on the final steepening up to half way. Again the grip exceeded my expectations both on the way up and on the return. Below The White Sign the path has had a lot of maintenance (thanks to the Nevis Landscape Partnership) and the new rocks, dry conditions and the fantastic vibram sole of the Jawz made my first half ben of 2018 a very pleasurable adventure! 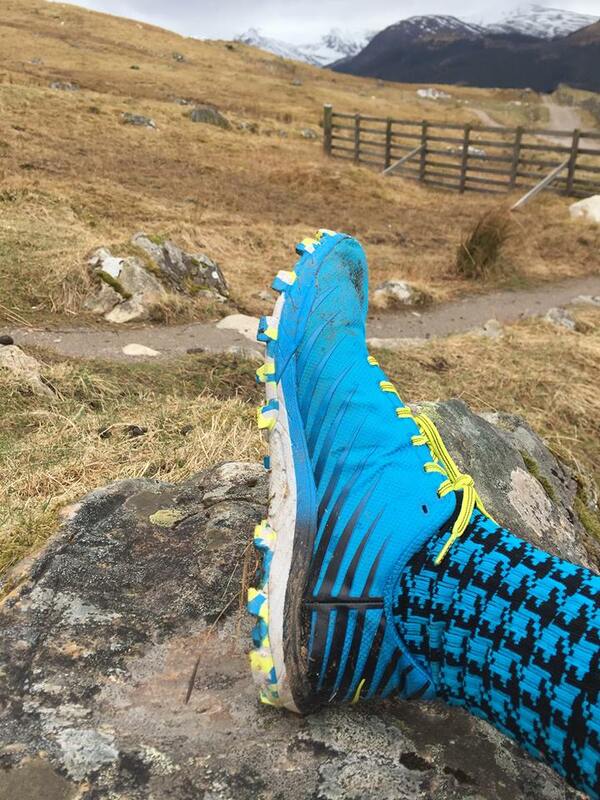 Would I recommend the Hoka One One Jawz? Definitely, for it’s outstanding grip on all surfaces and it’s lightness in comparison to alternative hill shoes on the market. To see this product for yourself Off Beat Bikes have a full range of both ladies and gents sizes in stock so pop in if you would like to try some on!